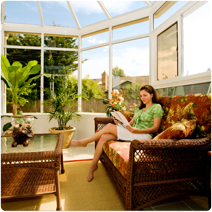 The Aztec Conservatory Roof System has many unique features that set it apart from the competition! 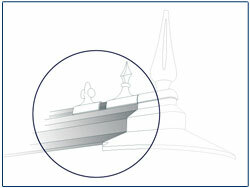 The cresting and finial are clipped on to the ridge, not in a channel, thus eliminating leaks. 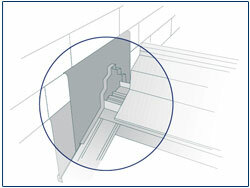 The special ridge capping is positioned and tapped into place. 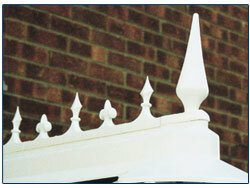 This ridge cap allows the finial to be fitted without any need for screws. Then the cresting is clipped into place. This component wasn’t designed for looks alone: it means there are no holes in the ridge cap, and no channel where water can collect. Two major causes of leaking are eradicated by this innovation. 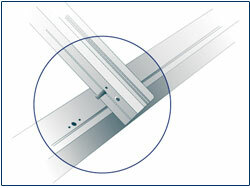 The panel support trim makes locating the glazing much more easily and securely. 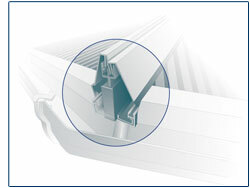 Aztec's panel support trim combines the end closer with the ring beam infill. 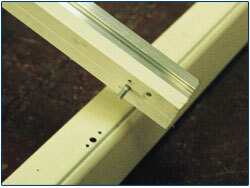 This single component locates the glazing into position, making it easier to fit, stronger and more reliable. This also prevents any panel slippage and possible leaks from the top. Rafter Pins make the initial assembly of the roof much easier. 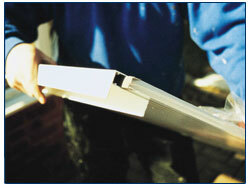 Each Rafter has integral rafter pins which slot into place at the eaves end and at the ridge. 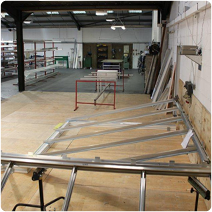 The entire roof can therefore be assembled before any fixings are needed, making it possible for one person to do the job with ease. 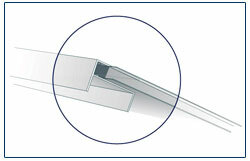 Twin Glazing Beads enable glazing to be installed one section at a time. 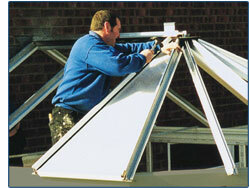 Aztec’s unique twin glazing capping means each piece of glazing can be fitted individually. Much easier and safer than having to fit two pieces of glazing at the same time. This means no more leaning / climbing on the top of the roof to glaze the last couple of panels. The wall can be flashed BEFORE the roof is glazed! 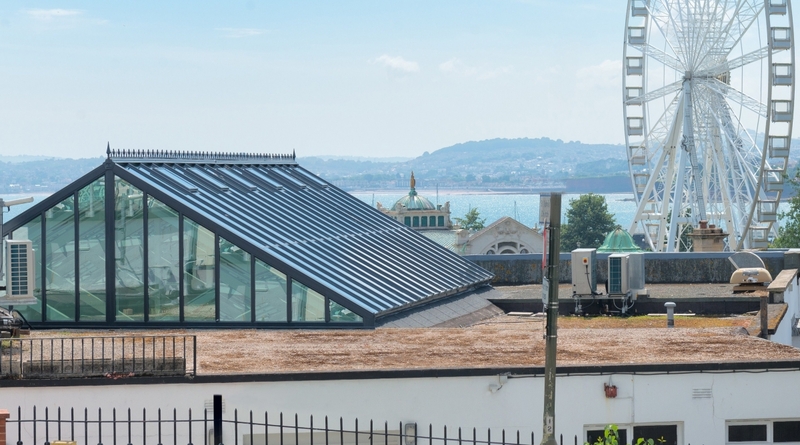 Aztec’s unique ridge flashing trim is designed to be fitted before the ridge cap, so the ridge can be flashed prior to completion. It’s not just easier and quicker; it’s a much better fit. As soon as the wall bar is secured, the mortar beds can be ground down for flashing. 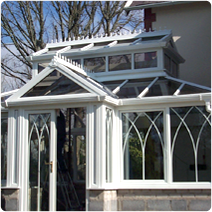 No need to wait until after glazing which means no more leaning awkwardly over the roof; and no need to clean dripping mortar off the glazing panels or the frame.